rates on services and products. Plus, secret member "deals" throughout the year. 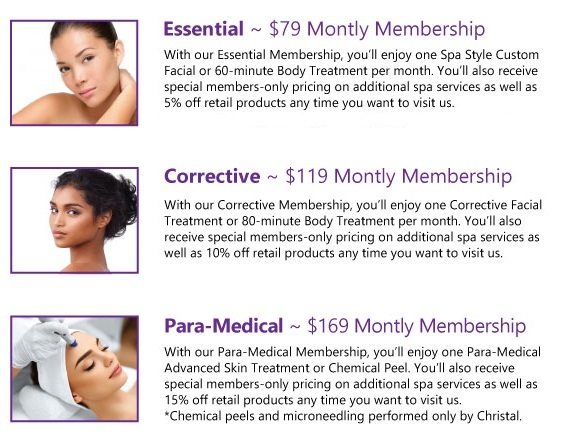 *Memberships are auto charged to your credit card every month with a 12 month commitment. If you don’t use your service in one month, you keep your unused treatment for a one month rollover ONLY. Services carry over ONLY 1 month per every 6 months until the end of the 12-month commitment. Memberships are transferable and can be shared. 30-day notice requried to cancel. Gratuities not included and we ask that you consider the full price.